Pure Latitude membership provides access to a range of stunning cruising grounds – including the Solent – the mecca of UK boating. 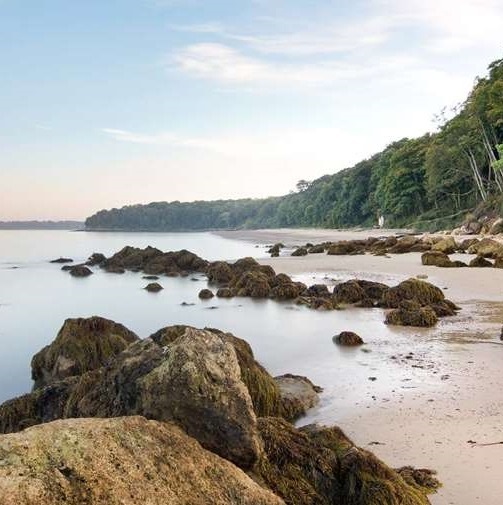 The Solent offers beautiful beaches, quaint harbours and historic nautical towns. 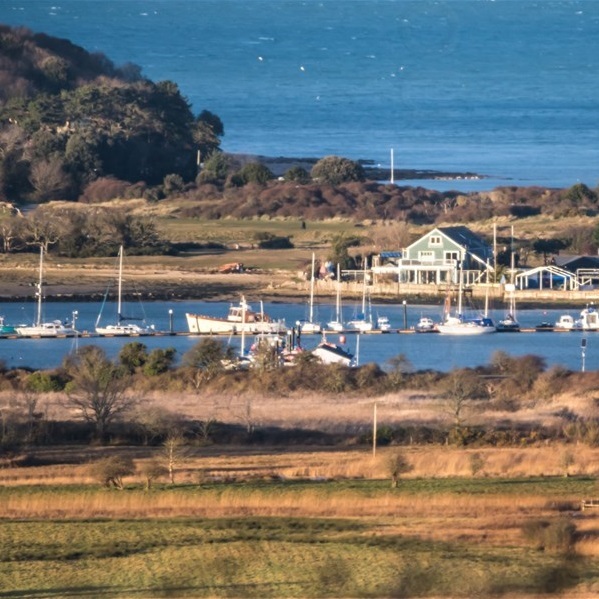 Get inspired for the next time you head afloat with our suggestions on where’s best to point your boat in the Solent. 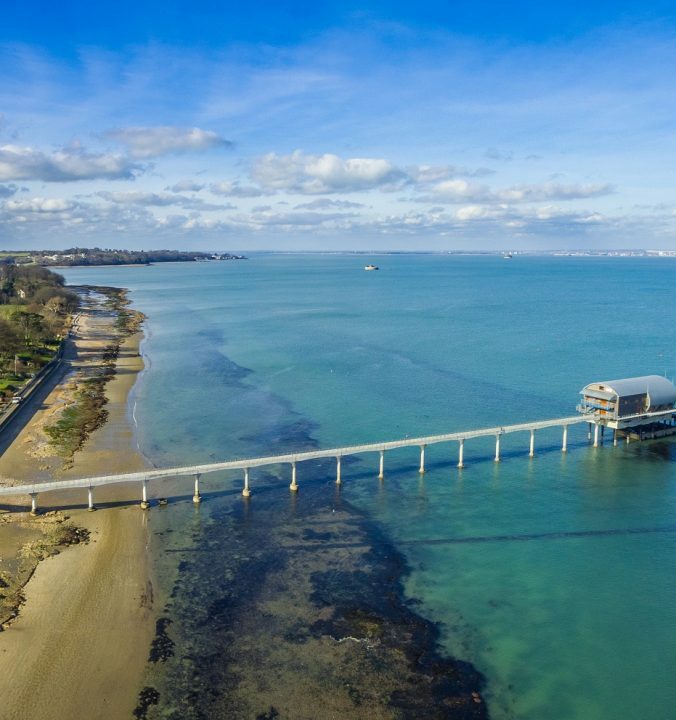 Voted 2019 village of the year by Countryfile, Bembridge boasts a beautiful natural tidal harbour and a host of different things to do on and around the water. With beautiful beaches and great waterside dining, make sure you leave time to relax and look around. Ideal for: Day skippers who are confident with their pilotage and tidal calcs. It’s a day trip for motorboats from Hamble or a weekend for sailors. 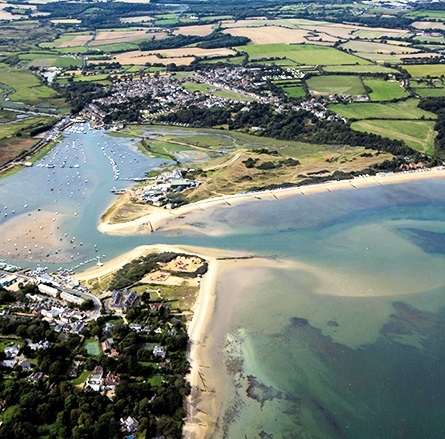 Navigation: Bembridge is a tidal harbor. As a guide, on spring/medium tides, 1.5m draft vessels can enter approximately 3 hours +/- HW. On neaps the channel depth sometimes does not exceed 2.2m. Beaches: Just a 5 minute walk from the marina is Duver/St. 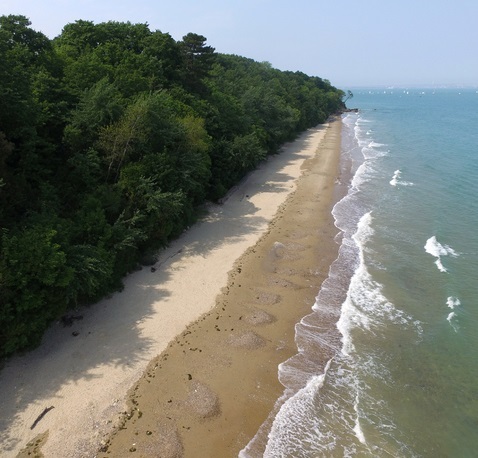 Helens beach with the Baywatch café – and just around the corner is Priory Bay. Harbour: It’s worth bringing a dinghy or SUP to explore the harbor in – great fun for all ages. Lifeboat Station: Pay homage to the RNLI at their flagship lifeboat station. Check timings on their facebook page and you might get to watch a launch of the offshore boat from this iconic building. The Best Dressed Crab: Local, fresh seafood served in a contemporary barge on the harbor. Old Village Inn: Honest local village pub serving a variety of food and great pizzas! Forelands Beach: Choose between the Crab and Lobster Pub or the Beach Hut. Top Tip: If you head into Bembridge, catching the marina water taxi can save 25 mins walking. Probably the Solent’s finest beach, yet relatively uncrowded most of the year. 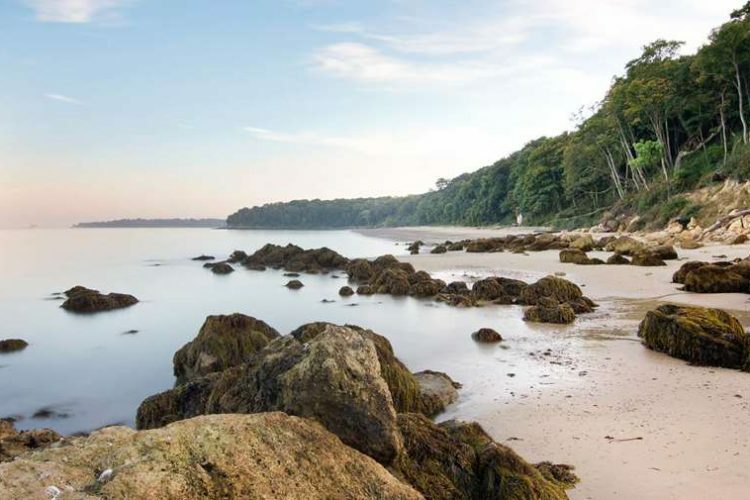 The picture perfect sandy beach backed by greenery is perfect for lounging and swimming – bring your BBQ and bucket and spade. The Easterly facing anchorage is well sheltered – although the shallow shelving means any boat with draught needs to anchor a little way off. Ideal for: Experienced day skippers who are confident anchoring. It can be a day trip for motorboats from Hamble or a weekend (overnight in Bembridge) for sailors. Food and drink: None – bring your BBQ. Mooring: Anchor (holding good/reasonable) off the beach in accordance with your draught. Dinghy, swimming trucks or SUP required to get ashore. Navigation: Coming from Hamble, take care navigating past No Mans Land Fort and the shallows off Seaview. Always navigate with extreme care. On a Summers day in the Solent, the anchorage at Thorness Bay makes for an easy lunch stop in a tranquil and uncrowded setting. 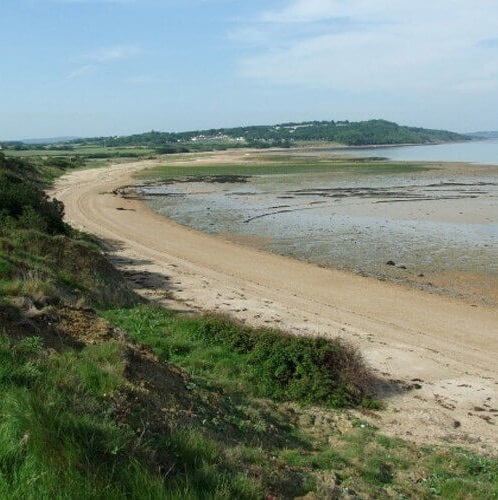 A mile or so to the West of Gurnard and Cowes, Thorness Bay offers a quiet pebbled beach backed by agricultural land. There is a shallow ledge of less than 1metre extending some way from the beach, making high water at the Western edge of the Bay the best for anchoring (pictured). Ideal for: Day skippers who are confident anchoring. It’s an easy day trip for all boats types from Hamble. Food and drink: None – bring your own. Mooring: Anchor (holding good/reasonable) well off the beach to avoid the ledge. Dinghy with outboard required to get ashore and enjoy having a beach pretty much to yourself. Navigation: Study your chart carefully to understand your position in relation to the ledge and make sure you have doubled checked your tidal times/heights. Always navigate with extreme care. 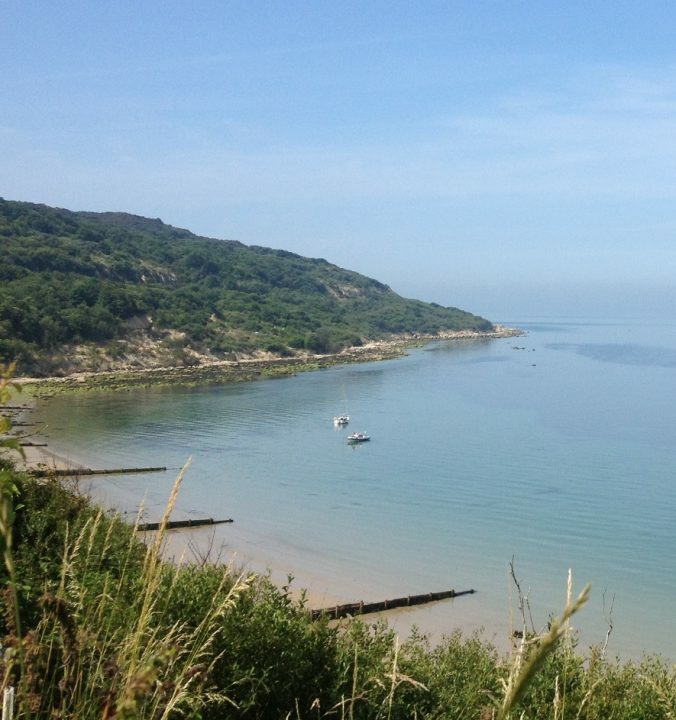 With beautiful clear water and a sandy beach backed by a forest of green, if you visit Totland Bay on a summers day it has a touch of the Carribbean about it. This largely sheltered anchorage offers respite from the Solent crowds, whilst still close enough to nip back in if conditions change. Ideal for: Experienced day skippers who are confident anchoring. 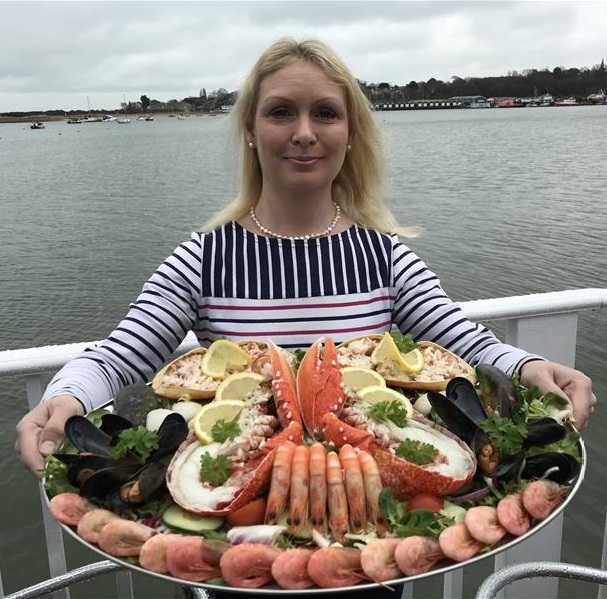 It can be a day trip for motorboats from Hamble or a weekend (overnight in Yarmouth or Lymington) for sailors. 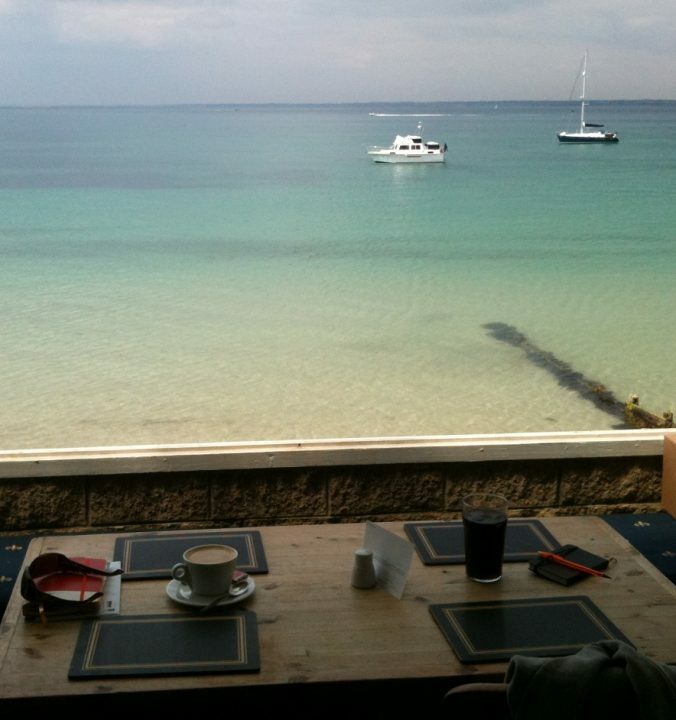 Food and drink: Waterfront Bar & Restaurant overlooking the beach. Mooring: Anchor (holding good/reasonable). Dinghy, swimming trunks or SUP required to get ashore. Navigation: Beware the rocky ledges of Colwell and Warden point. Stay in the Needles channel until you are safe to turn in. Always navigate with extreme care.